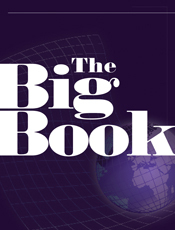 The List of Leaders has grown up to become THE BIG BOOK. 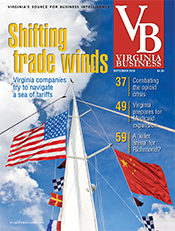 Virginia Business has been publishing its List of Leaders, a group of charts tracking about 18 industries, since the 1990s. This year, the magazine takes the lists to a new level, compiling 50 lists in 10 areas ranging from Construction & Development to Tourism. 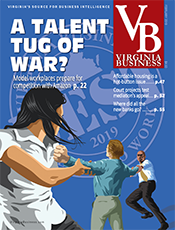 In addition, we have compiled a list of the 50 most influential people in Virginia business and another list of 30 people “on the move,” making their mark in their industries and the commonwealth’s economy. 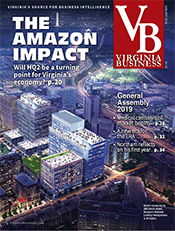 The Largest Companies/Business Leadership section includes 38 Virginia companies among the top 500 firms in the Inc. 5000, the fastest-growing companies in the nation. 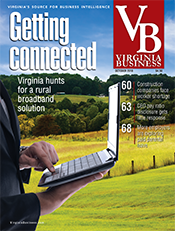 Virginia had 284 companies on the entire list, ranking it fifth in the country among the 50 states. 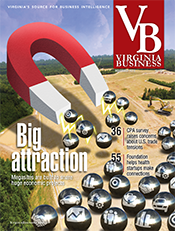 Economic Development looks at top-growth jobs and top 10 sectors by employment and investment. 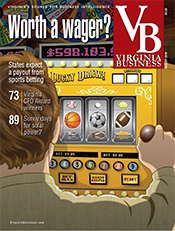 It also includes a rundown of Virginia’s ranking in a wide variety of economic surveys. Education includes a list of the state’s proprietary schools and the endowment figures for public and private colleges. 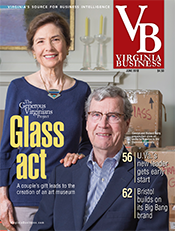 Philanthropy offers a sampling of recent major gifts while also exploring donations made by large U.S. foundations to Virginia nonprofits. 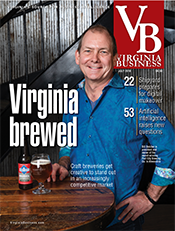 Tourism lists 300 Virginia golf courses while also offering a glance at the commonwealth’s growing number of wineries and craft breweries. 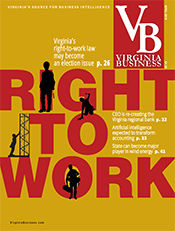 Professional Services lists the nearly 100 chambers of commerce in the state and tracks recent lobbying spending at the Virginia General Assembly. 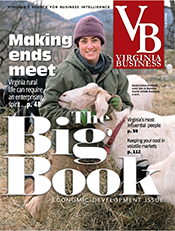 The Resources section offers lists of startup incubators, local economic development offices and the commonwealth’s network of Small Business Development Centers. While much is new, however, many familiar features from the List of Leaders still remain. 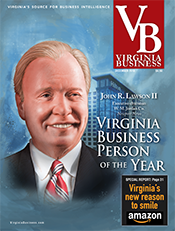 They include lists of Virginia’s top public and private companies; its leading architectural, engineering and construction firms; complete lists of the state’s public and private four-year colleges and universities plus its 23 community colleges; major hospitals and insurers; top law and accounting firms and its largest conference hotels. This is just the debut of THE BIG BOOK. It will be back for many more years.